Purpose: To inform investment through analysis of trends and trying to predict what is to come in energy. It is only by being on the edge that we can become the edge. My past summer was spent working at a clean energy investing firm in the heart of the clean energy evolution. Powerhouse Ventures is a seed stage venture capital fund which invests in clean energy technology startups. I was able to view the latest technologies that startups are working on and dive into assessments of their potential markets. During this time, I saw trends and gained a glimpse of what is to come. European utilities are being very active in looking for new opportunities and startups. Over the course of the summer, we hosted three utilities and three manufacturers looking to better connect with U.S. Cleantech. The European utility market is becoming more competitive and utilities are looking for returns elsewhere. They have the flexibility to pursue generation and storage opportunities in the U.S. Many of the grid problems with high renewable penetration are already happening and applicable in Europe. There is fast moving regulation promoting solar, wind, storage, and demand response which utilities recognize and are trying to get out ahead of. Changes are happening in the structure of how organizations are formed. In energy, this means that the utility structure needs to be rethought. Vermont Green Mountain Power Utility is subsidizing Powerwalls to be used to support the grid on hot days. Sacramento Municipal Utility District is being very forward thinking in understanding how they fit into the value chain. They’re pushing to electrify homes which creates further demand while preparing for de-carbonization through electrification. They are free to experiment since they are not regulated by the California Utility Comission. Look for companies who are able to help utilities with real needs they are having and able to take risks. Virtual Power Plants are saving utilities from having to open new power plants. Advanced Microgrid Solutions has played a central role. AMS created its own opportunities in turning customer sited batteries into virtual power plants. They spurred regulators to put out proposals as a solution to a LA powerplant closing. Companies already provide demand response aggregation at the commercial and industrial scale. This is being taken to the next step with companies like Blueprint Power and Leap who are better able to aggregate smaller and smaller assets. The decreasing costs of technology makes this more feasible, as long as regulation will allow wholesale markets to be accessed. Look for companies who know how to acquire customers, incorporate technologies into other companies, and interact with markets. The democratization of the grid requires micro level knowledge of energy movement in order to be able to record and transact it. Peer-to-peer trading will only ever come about if this is technically and financially feasible. This is happening to a certain extend with traditional information technology methods of databases, cloud computing, and super computers. However, to be taken to a next level, it will require distributed computing resources. As traditionally non-technology devices (think toasters) have ever increasing amounts of processing power, they will be able to record and transact energy at the micro scale. This knowledge will not only provide effortless economic power to consumers, but also contribute to the overall grid with more inform grid operators. Look for startups who know how to deal with energy transactions, big data, distributed computing, and market integration. The distributed electric grid is a rising trend in the energy sector. This trend should not be dismissed as a passing fad, but a result of the idea that supply devices being close to load can provide increased resiliency and control. 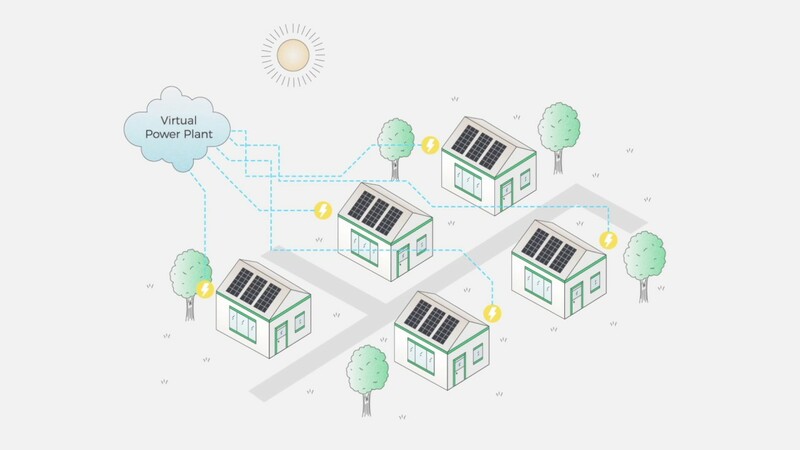 This is backed by Greentech Media Research’s analysis that behind-the-meter Distributed Energy Resources will double to 104 GigaWatts of capacity by 2023. The extreme of this would be a device at the outlet. Hygge Power is a startup that makes at-the-outlet battery storage. While there are existing at-the-outlet battery packs, Hygge’s application isn’t as much a power back-up as a power control solution. Their device capitalizes on the need for customer and utility control of power. This nexus of utility controlled distributed energy is best exemplified with New York’s Renewing the Energy Vision initiatives of siting storage devices at the household level that utilities can own and operate. While this ultra-distribution seems to fly in the face of increased large-scale transmission to connect faraway wind farms such as the Grainbelt Express, really the two are complementary in promoting greater control and being able to scale together. A more distributed electric grid is a growing trend and Hygge Power is a company to invest in to capitalize on it.